Things aren’t always what they seem in horror films, right? I always love when a film has a great twist, especially in a horror flick. “Masked,” a terrific short horror flick from writer/director Alex Williams, gives us a great slow burn and then an impressive one two punch. The film runs for about 20 minutes, which is really a perfect length for a project like this, lending to its “The Twilight Zone” vibe that kept me on my toes throughout. 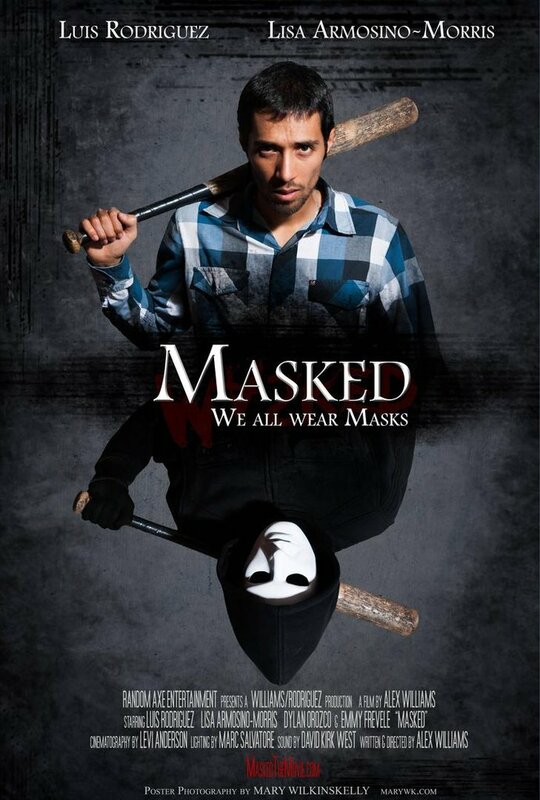 While “Masked” keeps the gore to a minimum, it makes up for it with an impending sense of dread and confusion, enhanced by a solid performance from leading man Luis Rodriguez and an eclectic, haunting soundtrack. The story is pretty damn intense and the writing is legit – it goes to show how a great script can add to a film’s overall success. Do yourself a favor and check it out for yourself, and for God’s sake go hug your wife and kids tonight! Be sure to follow Random Axe Entertainment on Facebook and Twitter. For more on this project and others from Random Axe Entertainment check out their official website. What an awesome review. Thanks so much!